As a lover of beauty there are lots of fabulous items on the market that if purchased will go towards raising money for this great cause. If you haven't already purchased anything or perhaps don't know what is available, I have listed my favourite items below so get buying now before it is too late! Fans of Elemis will love this Limited Edition 'Sparkling Beauty Collection' RRP £50 but worth £93! 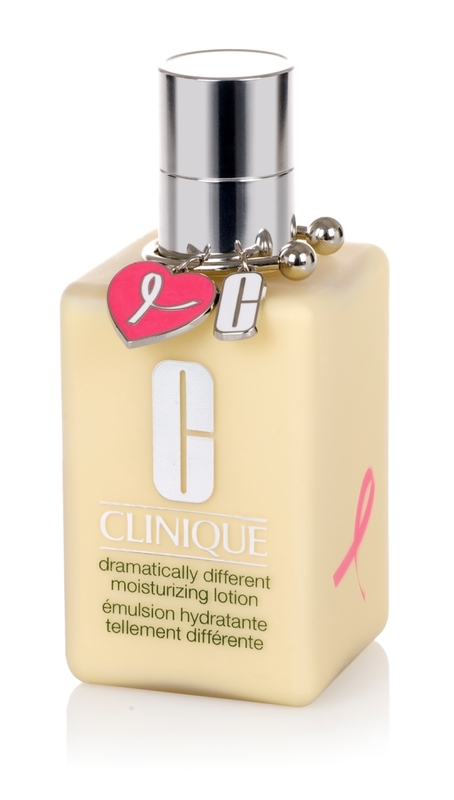 Elemis have pledged £10,000 to Breast Cancer Care. I love this keychain - Three gorgeous shades of gloss all together on an exclusive handy key chain complete with a pink ribbon charm. Exclusively designed for Breast Cancer Awareness and the must have for your keys this October. For each Limited Edition Long Last Glosswear SPF15 “Pink Ribbon Key Chain” sold in Boots during October 2010, £2 will be donated in total to the appeal. (£1 will be donated by Clinique and £1 donated by Boots to the Breast Cancer Research Foundation’s study at the UK Institute of Cancer Research.www.bcrfcure.org). Bobbi Brown has created this gorgeous (and my favourite offering) Pink Ribbon Shimmer Brick with a limited edition case featuring the Bobbi Brown logo in pink - £29.50 with all proceeds excluding VAT going to the Breast Cancer Research Foundation's research study at The Royal Marsden. What items will you be buying this October? 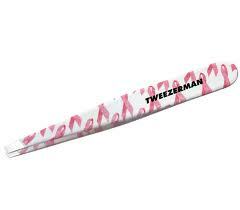 Can def vouch for tweezerman - no more rooting round at the bottom of my make up bag - I went for the shocking pink ones! Thanks Penny, my sister has the bright pink ones - they are fab aren't they! I've always loved the look of the shimmer bricks but have never wanted to splash out... maybe now there's a good reason I should!